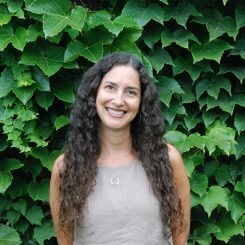 Dana Seitler’s teaching and research interests include nineteenth- and early twentieth-century American literature and culture, queer theory and sexuality studies, feminist theory, cultural studies of science, aesthetics, and visual culture. Seitler is the author of two books: Atavistic Tendencies: The Culture of Science in American Modernity (University of Minnesota Press, fall 2008) and Reading Sideways: The Queer Politics of Art in Modern American Fiction (Forthcoming, Fordham University Press). Currently, she is working on a new book entitled Broken Life: Withdrawal, Ecstasy, Biopolitics on addiction, suicide, and other forms of self-risk. Professor Seitler teaches Queer Writing for the Sexual Diversity Studies Program. “Strange Beauty: The Politics of Ungenre in Rebecca Harding Davis’s Life in the Iron Mills,” American Literature, 86: 3 (September 2014). “Making Sexuality Sensible: Tammy Rae Carland and Catherine Opie’s Queer Aesthetic Forms” in Feeling Photography, ed. Thy Phu and Elspeth Brown (Durham, N.C.: Duke University Press, 2014). “Queer Physiognomies, or How Many Ways can we do the History of Sexuality?” Criticism (Winter 2004).